As an empath it can be confusing living with others. Differentiating others “stuff” from your stuff. Whether it be in a house with our family, in an apartment surrounded by our neighbors, or at work with our co-workers. Trying to differentiate where energy or sensations is coming from can be tough. All our energies are smushed together like a bowl of soup. Especially when it comes to others feeling bad, negative energies, unwanted emotions, sadness, anxiety, physical pain or ailment of some sort, and even confusing rambling thoughts in someone else’s head. Yes, as an empath we tend to pick up these things more easily than others. Heck, some of us who are empaths…and don’t know are empaths, tend to take it all in as it is OURS. And ours alone. That could be overwhelming. So just how do we tell what is ours and what is others? Even with handy techniques in our hands, there’s still times when we get so immersed in the energy that it’s fuzzy to pick out where everything is coming from. There’s hope… this one technique has saved me on countless times! When the direction or source of that “UNWANTED” energy can’t be detected anymore, it’s wise to step out for a second. Simply get up and take a nice walk to sever the energy ties between you. That’s it. You just have to remember to do it. Comment below and let me know how it worked for you. This entry was posted in -Daily Care Tips For Empaths, -What Is An Empath? and tagged an empath, cleaning the negative energy, cleansing negative energies, clearing negative energies, clearing negative energy, cutting cords, cutting negative energy, empath, empath a curse, empath a gift, empath abilities, empath book, empath help, empathic, empathic abilities, empaths, highly sensitive people, how to get rid of negative energies, hsp, intuitive empath, remove negative energy, resources for empath, skilled empath, what is an empath on August 29, 2011 by EmpathSolutions. Today, I like to have an amazing teacher and a good friend of mine share his story. Let us know how he discovered about his empathic nature…and started his spiritual journey. And how he is now making pathways and breakthroughs for the rest of us fellow empaths. Finding nuggets and tools to help all empaths and highly sensitive individuals who are ready to become a skilled and conscious empath themselves! Armed with a Ph.D. and a lucrative counseling professorship at age 30, I embarked on what was to be one of the shorter careers in the history of academia. Despite being nominated for early career awards and authoring a half-dozen research publications, I decided to leave my tenure-track position at the University of Wyoming in 2005 after just three years to begin working with empaths in Santa Fe, NM. I had to follow my heart. After I realized I was an empath, there was no turning back. The cultural identity of empath is rapidly growing and gaining mainstream acceptance; Dr. Judith Orloff’s best-selling holistic healing books are evidence of that. The primary characteristic of an empath is a high degree of sensitivity to the emotional state of other people. If you’ve ever been told that you’re a good listener, then you might be an empath. People feel comfortable sharing their emotions and deepest thoughts with empaths, and thus, we tend to be especially popular around high-stress times like the holidays. However, an empath’s ability to bond with others can lead to unintended health consequences. In many cases, empaths will take on other people’s emotional pain as if it was their own. In toxic situations, intense emotional energy can affect an empath deeply. We can unintentionally absorb emotions, like a sponge. I walked around for years with what felt like two fishing hooks stuck in my heart area. In 2003, I sought out healing for my accumulated emotional and physical pain. I began a five-year apprenticeship with two Native American healers and drove the 8-hour trek from Laramie, Wyoming to Santa Fe every month. I quickly discovered why counseling came so easy. The Native American community recognizes empaths. These individuals have been trained as the medicine men and women in tribes and communities. Research has shown that approximately twenty percent of people are highly sensitive in general. In my experience and observation, fewer still are empaths (those sensitive specifically to other people). Perhaps 5 percent of all people are natural empaths – and most don’t recognize it. I am seeing women and men who have lived their entire lives wondering what was wrong with them, being called hypersensitive or oversensitive – who can now breathe a sigh of relief. What was thought to be a quirk or even mental illness in actuality is a special gift for being able to understand the emotions and motivations of other people. In my coaching practice, I help empathic individuals differentiate what energy is theirs, and what is coming from other people. We work on coping strategies to manage the high sensitivity and prevent the absorption of harmful energy. I’m so happy and privileged to work in this special field with empaths, helping us to become more joyful, more skilled, and more conscious of the tremendous spiritual gifts with which we have been blessed. For more helpful energy tips and techniques to help Empaths & Highly Sensitive People (HSP), check out Dr. Michael Smith’s The Complete Empath Toolkit: 44 Practical Steps to Master Your Energy and Personal Power. This entry was posted in -Empath Expert Guests, -Recommended Resources, -What Is An Empath? and tagged cleansing negative energy, clearing negative energies, clearing negative energy, conscious empaths, Dr. Michael Smith, empath, empath traits, energy management, getting rid of negative energy, highly sensitive person, intuitive empath, move energy, negative energies, negative energy, remove negative energy, removing negative energy, shamanic traditions, skilled empath, The Complete Empath Solution, what is an empath, you are an empath on July 25, 2011 by EmpathSolutions. Words of wisdom for all Empaths and Highly Sensitive People from Dr. Michael Smith. Empaths understand, as walkers between worlds, the polarities of Darkness and Light. Every single thought carries energy that affects ourselves as empaths and others. Empaths know and understand this unlike any other individuals, because we take the brunt of other people’s negativity. We feel it in our own energy fields. Empaths often will hear the very not-so-nice words and literally experience the not-so-nice energy that has been created by others. The mere act of walking into a chaotic restaurant or department store is all that it takes (thus, empaths avoid crowded places like the plague). Negative energy stays around. If left unchecked, it will accomplish its mission of advancement of the Darkness. One simple negative thought will linger unless we recant those words and take responsibility for our own karmic negativity. If we do not face the Shadow side and learn to become friends with it, then we will never learn to grow past it, nor be of any real help to others. The shadow side is an invitation to create Light. It can NEVER be changed or altered by merely ignoring it or by running away (which empaths tend to be very good at). The Shadow and Darkness are strong signals that we need to do everything in our power to Create Light. The goal of the work I do is to teach empaths to be better Light Creators. It is our responsibility to ourselves and to others. Creating Light is done through pure prayer, patience, and finding others who are stronger on which to temporarily rely. We cannot accomplish our Collective task as humans and as empaths unless we help each other. That means asking for help when you know you need it – putting aside your ego. I struggled for many years by myself in isolation, thinking that I had to do it all myself. Only when I dropped that belief did I receive the help that I needed, and get to a place where I now am thriving and not a victim anymore. It’s my belief that empaths have asked for this experience, and here we are Now with a job to do. Accumulated negativity (otherwise known as Karma) is never altered unless we have a stronger Light energy to absorb it and transmute it. Thus, the power of prayer and intention. Prayer from a pure and humble heart is strong enough to erase and diminish any negative energy. However, many times it will take years to be enough to overcome the Darkness. This is the not-so-fun aspect of Karma, and of being an empath, sucking up everyone else’s negativity. And yet with patience, it WILL be overcome. That is a Universal truth. I write these words to offer you encouragement to endure and persevere over whatever hardships that are currently Testing you. There is nothing that is strong enough to break you, unless you let it. And if you let it, then you may just get to come back into an earthly body again and do it all over again, until you get it right. Go for broke this time. You’re an empath with a job to do. Face you shadow – clean yourself up. And most importantly, ask for help! This time, let’s all get it right! This entry was posted in -Clearing Negative Energies, -Empath Expert Guests, -Empath Solutions & Tools, -News and tagged affirmation, be the most important person, cleansing negative energy, clearing negative energies, clearing negative energy, conscious empath, Dr. Michael Smith, ebook, empath, Empath Intuition audiobook, empath traits, empaths need protection, energy flow eliminate old energy, energy management, exercise and movement, free of negative influence of people and the environment, getting rid of negative energy, helps for empath and highly sensitive people, highly sensitive person, holistic healing, how to become a skilled empath, how to deal with other’s energy, how to move energy, how to protect myself as an empath, how to protect yourself from negative energy in your environment, hsp, I’m an empath now what, intuition development, keeping yourself clean, Micha el Smith, Michael Rebort Smith, mind body energy medicine, move energy, negative energies, negative energy, negative environment, negative person, New Mexico, positive things about being an empath, prayers, protective stones, pyschic ability, reframe your mental outlook, remove negative energy, removing negative energy, Sante Fe, sensitivity to environment, shamanic traditions, skilled empath, solutions for empath, The Complete Empath Solution, University of Nevada-Reno, University of Wyoming, what is an empath, www.empathconnection.com, you are an affirmation, you are an empath on April 19, 2011 by EmpathSolutions. I’m an Empath – Now What? Today, I want to introduce you to Dr. Michael Smith –he’s a kind soul who has been coaching and elevating the lives of those individuals known as Highly Sensitive People (HSP) and Empath to live a more fulfilling healthier life. Michael Robert Smith holds a Ph.D. in counseling from the University of Nevada-Reno. He has 15 years of experience in counseling, shamanic traditions, mind-body energy medicine, holistic healing, and intuition development. A former professor at the University of Wyoming, he lives in Santa Fe, NM where he coaches empaths and highly sensitive people in energy management. 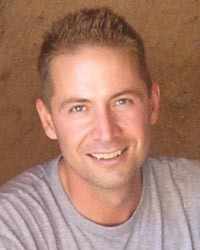 He is the author of “The Complete Empath Toolkit,” and “Empath Intuition” audiobook. Has anyone ever said “you have a trusting face?” Do you find yourself listening with ease to other people’s problems? Do strangers easily share intimate secrets? If so, you probably have gone through life being more affected by other peoples’ energies than you realize. As an empath, you are someone who has been hard-wired, from birth, to perceive and experience the thoughts, emotions, physical sensitivities, and spiritual urges of other persons. It is much more than being a highly sensitive person, and not limited to just emotions. For you, it can be like living an episode of Star Trek! You don’t even have to try and you just know the motivations and intentions of other people. You cannot change the fact that you are an empath. It is akin to your eye color. You either are or you’re not. Being an empath is not teachable; it’s not something to learn. However, you can learn to become a skilled empath and manage your empath nature. Hopefully you have, or will now, make it your intention to modify the intensity of the empath experience through adaptive means (meditation, movement, grounding, wearing protective stones). However, it is quite common for empaths to modify the feelings through not-so-adaptive means (alcohol, drugs, addictions). If you fall into that category, it is completely understandable and you are not alone! Almost every empath whom I have encountered has, at one point or another, sought to alter their mood through addictions. The definition of being an empath means you are always “on,” constantly available to process other people’s feelings and energy. As an empath, you have a gift, or in many cases, what may feel like a serious curse! For now, let’s set aside any notions of judgement. Even if it feels like an overwhelming burden, which it certainly is at times, our responsibility as an empath is to ourselves first, others second. So with that in mind, let’s focus on how we can take responsibility for managing our energetic sensitivity. Beware, though. Identifying and recognizing yourself as an empath may give you a charge. It may cause lingering sensations of relief, bordering on giddyness. You will come to understand that as an empath you are not alone. So with that in mind, let’s talk about what I have found are 5 of the most helpful methods of keeping yourself clean, strong, and healthy as an empath, free of the negative energetic influences of others. Being an empath is indeed a burden at times. To be maximally effective, we must do what counselors call reframing, that is, changing our mental outlook so there is no room for blame. We can do very little to change our currently inherited genetic characteristics (although I believe that prayer from a sincere heart can change the past, present, and future. But that’s a whole other story for another book!). Somewhere along the line, it is my belief, and my personal belief only, that empaths have agreed to help come to the Earth in this time of tremendous social, political, and environmental transition to be the “vacuum cleaners.” Empaths are the ones whose task it is to clean up the suffering that we individually and collectively created in the past. This is a personal outlook that serves to help put my gifts in perspective. It also helps to promote what I believe to be my serious responsibility to myself and others. And whether or not you choose to view your empathic nature in these terms is ultimately up to you. As empaths, It is helpful to take a close look at our personal narrative. What are the stories that we tell ourselves as we wash dishes or peel potatoes? If we believe in a story that we need protection from evil spirits or negative energy, then we more likely set ourselves up for the manifesting of that scenario. As empaths, we understand what’s it’s like to be knocked around by other people’s energy. However, I don’t think that it’s maximally effective to focus on just protection. If we focus instead on how to maintain a strong healthy aura, any negative energies will be naturally and automatically dispelled. Negative energy cannot exist in the presence of light. To use a sports or political metaphor, it’s a question of whether you want to be on offense or defense. Focusing on promoting positive strengths is almost always more effective than a mental outlook that’s designed to protect your empath energy from invasion. That said, it is absolutely true that empaths need protection – we just don’t want to overdo it. Stones have been known for their healing and protective properties for thousands of years. Stones are the oldest material on the earth, they are living creatures who offer their medicine to us if we will use it. 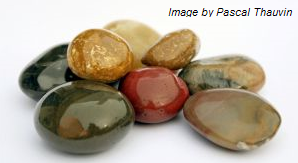 Stones can be worn by carrying a medicine pouch around your neck or by wearing stone jewelry. I have found that the three best repellants for negative energy are Tourmaline, Onyx and Obsidian. Just like you, your stones must be cleaned regularly. I clean my stones usually every few days, depending on the intensity of my daily empath interactions. Give your stones at least 2-3 hours of direct sunlight in a crystal or glass bowl filled with sea salt and water. If you can’t get access to sunlight, run them under some tap water. It does almost as good a job. The first products that deserve mention are far infrared lightwave (heat) producing mats that penetrate deep into the body. I own a massage-table size product called the Amethyst BioMat that I have found indispensable in cleaning out energy. I lay on it every day when I feel energy accumulation. It uses far infrared heat, coupled with negative ions and the healing power of Amethyst, to increase blood circulation, thus producing an artificial fever in which the body’s immune system is stimulated. As you relax on top of the warm Amethyst, toxins are scrubbed away in as little as 30 minutes a day. The second set of empath products worth looking into are the Electromagnetic field (EMF) protectors now on the market. It has been my experience that finding the right EMF protector for one’s unique energetic makeup can be hit or miss. I tried several products without success before finding the EarthCalm pendant. It’s a scalar resonance electric circuit which grounds one to the Earth’s energy field. I could feel the energy swirling in my field the moment I put it on. It is really crucial to understand that everyone’s energy system is different. Some products, including the Earthcalm, may actually do the opposite of what they are intended to do and make your sensitivity even more pronounced. The Q-Link pendant is another option that many empaths have reported successful. I do not sell any of these products. I list them simply because I have found them to be helpful in my own experience and that of my clients. Exercise and movement in any form are great ways for empaths to move out old energy and pull in fresh energy. Martial arts and yoga are two of the best methods for an empath. Even a simple movement of one’s arm might be enough, or even a simple acknowledgment that your wrist hurts. The body responds to our focused attention in-kind. If you are intimidated by the concept of martial arts, then try yoga, Tai Chi, or a user-friendly practice such as Nia, which is now emerging worldwide. I certainly wouldn’t be as effective without my daily Nia practice. Nia is a practice that re-trains the nervous system by combining a series of intentional, healing body postures with the power of dance and yoga. I find it to be the most joyful and playful experience of every day. 5. PROGRAM YOUR BRAIN WITH AFFIRMATIONS AND PRAYER. Actual physical voicing of particular words and sounds produce a powerful effect in our empath energy fields. In the coaching work that I do with empaths, this is known as neuro-linguistic programming. The brain and body are programmed to produce good feelings with the repeating of certain mantras, words, or phrases. The process is designed to stimulate the empath nervous system into intentionally producing the actual energetic vibrations and feelings of peace, happiness, joy, and tranquility. I have a CD/mp3 album called “The Empath Experience” available on Amazon if you are interested further in this topic. When you become a conscious empath, you will dramatically reduce your stress and anxiety, improve your mental outlook, improve relationships, and lead to a freedom and liberation previously unknown. You will be able to create joy where none was before present. In situations where you previously felt trapped, you now can bring in positive energy to change situations. You’ll begin to light up other people’s lives in a new way, and fulfill your destiny as an empath to help others. All of these skills take practice. With time, they will come more naturally. At some point, you will reach a tipping point; a critical point where your awareness exceeds your unconsciousness. It takes work on yourself to get to this place. Some empaths go all their lives and never reach it, but only for lack of will. If your will is strong enough, you will reach a place of emotional maturity and become a skilled empath. 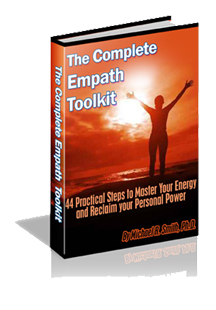 For more helpful energy tips and techniques to help Empaths & Highly Sensitive People, check out Dr. Michael Smith’s The Complete Empath Toolkit: 44 Practical Steps to Master Your Energy and Personal Power. This entry was posted in -Daily Care Tips For Empaths, -News, -Recommended Resources, -What Is An Empath? and tagged affirmation, be the most important person, cleansing negative energy, clearing negative energies, clearing negative energy, conscious empath, Dr. Michael Smith, ebook, empath, Empath Intuition audiobook, empath traits, empaths need protection, energy flow eliminate old energy, energy management, exercise and movement, free of negative influence of people and the environment, getting rid of negative energy, highly sensitive person, holistic healing, how to become a skilled empath, how to deal with other’s energy, how to move energy, how to protect myself as an empath, how to protect yourself from negative energy in your environment, hsp, I’m an empath now what, intuition development, keeping yourself clean, Micha el Smith, Michael Rebort Smith, mind body energy medicine, move energy, negative energies, negative energy, negative environment, negative person, New Mexico, positive things about being an empath, prayers, protective stones, pyschic ability, reframe your mental outlook, remove negative energy, removing negative energy, Sante Fe, sensitivity to environment, shamanic traditions, skilled empath, solutions for empath, The Complete Empath Solution, University of Nevada-Reno, University of Wyoming, what is an empath, www.empathconnection.com, you are an empath on February 1, 2011 by EmpathSolutions.